Happy Hump Day!!! 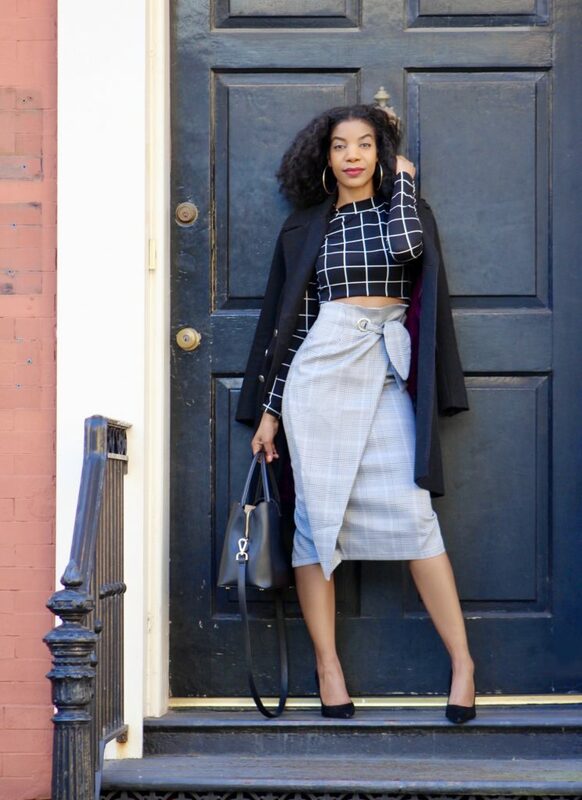 Today on the blog, I’m serving you a little business mixed with a little pleasure (owww)! I saw this skirt and I had to have it! It’s basically all of my favorite trends in one, lol. 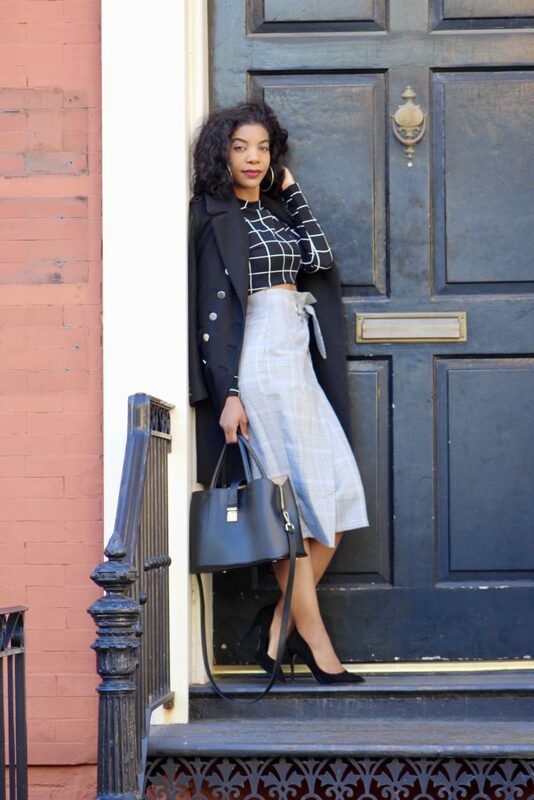 Plaid, high waisted, and midi length. It has a small slit in the back. It’s great quality and fits true to size. It can fit lower or higher up on your waist, depending on how tight you tie it. I am wearing an XS. 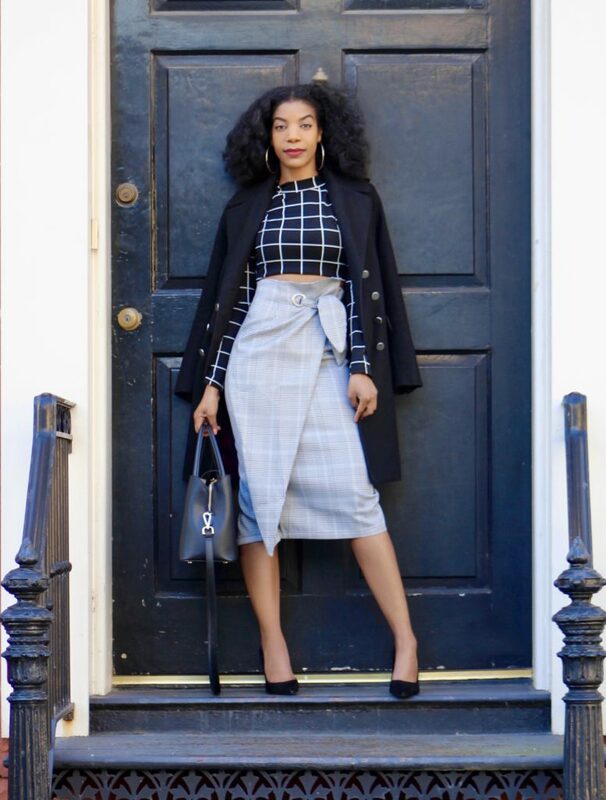 When I got the skirt, I knew I wanted to do a mixed print look with it. I went to the mall to find the perfect one before my blog shoot, and had no luck. So then, I went home, and studied my closet, and voila, this outfit was born! This top is actually apart of a co-ord set that I previously wore here. So, the next time you feel like you need new clothes, try shopping your own closet and come up with a new look! Thanks for reading! Do you “shop” your own closet when you need something to wear for an occasion? Or do you always go out and buy something new? Let me know below! I shop my closet all of the time! I do a lot of thrifting so it makes you put different things together and just have things on stand by! Loved the skirt! I love the plaid and the gridlock together. I love it! Especially the crop top. You always look so stylish in what you put together. That skirt is so cute! Loving the mix of the top with the skirt too. I need to wear this to the meeting that I will secure the bag with. That is an excellent combination. You look great! This look is dope. I love the mixing of patterns. Loving the length of the skirt and the whole look! Perfect blend of business and owww! This look is EVERYTHING! I’m loving that skirt, but the top really sets it off! I would wear this look during springtime too! I love this look, the coat is my favorite piece. The top is a nice bold print, I need to shop my closet more. Love the entire look! I would’ve never thought to mix these patterns but I really like it! Gorgeous Kasi! I love how you mixed the different plaids together. It works well. As usual your outfit is definitely on point! Thanks for this post. Going shopping now! I love this look. I’m looking for a cute plaid skirt that I can pair with a long sleeved neon bodysuit. I love all things plaid, and these are no exception. So sad that where I am, this winter is not conducive with any kind of cute outfits. Im so glad for plaid. I havent seen people wear it as much but you are really rocking it well classy!